Spring is here (or so the calendar is telling us) and it's time to try something new! 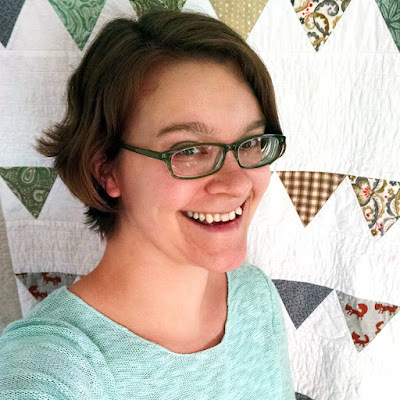 At our March meeting this Sunday, CMQG member Abigail McMurray will be teaching us how and when to use a Silhouette to cut fabric for that new project you've dreamed up. I really enjoy the podcast Seamwork Radio. The episodes are all sewing-related, but more about the people and their process. I think I'm mostly just proud that I know how to sew! I've come across people, here and there, who have never had an experience with needle and thread. I helped a co-worker re-attach a button one day and it was like I'd performed some sort of magic - his mind was completely blown! Do you ever really master sewing skills? 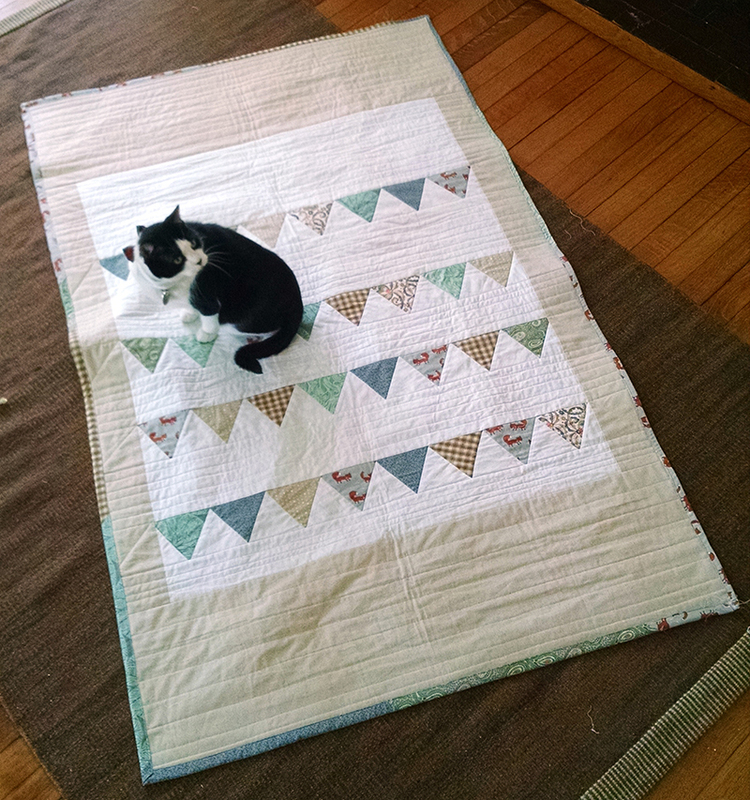 I guess I'd like to be more confident in my free-motion quilting. My design/art background gives me a good foundation, but I want to work on the technical aspects that just come from repetition. Nope! I do other creative things for a living, so my rule for sewing is that it can be for me or for a gift, I'm not taking your money. 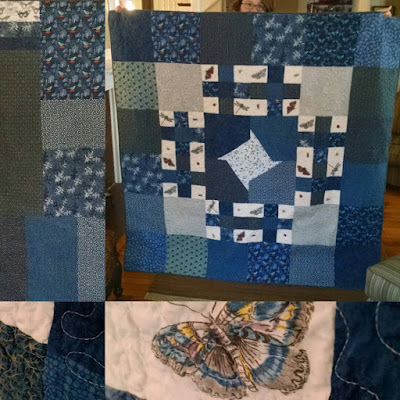 This is a wedding gift I designed and made for some friends who really like bugs. Anything linen (I haven't made a quilt with linen yet, but it's my most-likely fabric impulse-buy). I love mustard yellow. I have to buy anything that references paper or origami, and I do really enjoy cats. 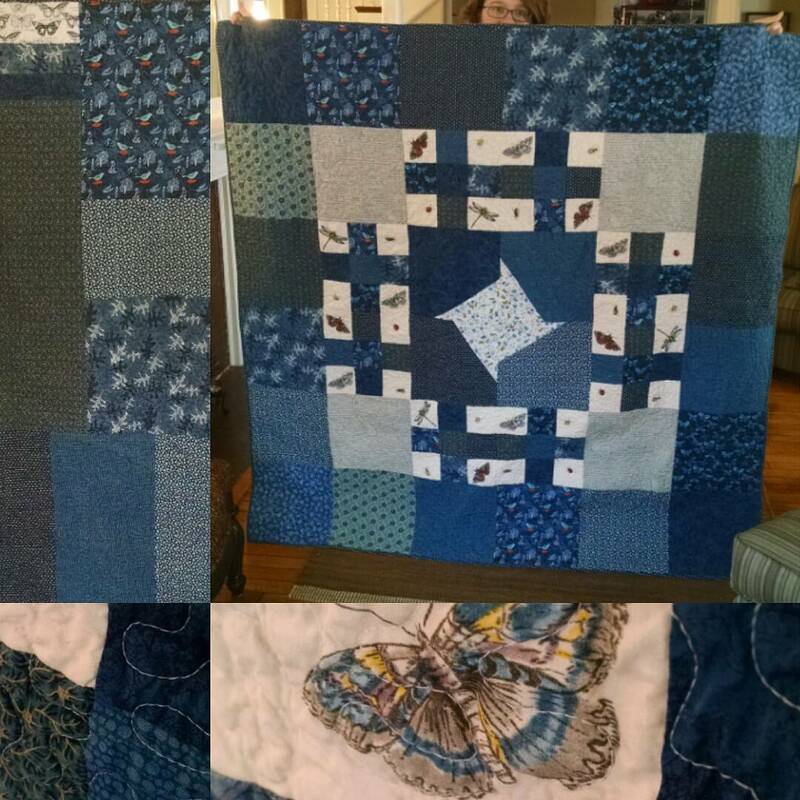 My husband's grandmother made us a wedding quilt. She's still with us, but I think this is the last big quilt she had enough energy/strength to finish. It's currently packed away because it needs some mending - I should bring it to a meeting to get some advice! This is the first quilt I finished and kept for myself! My cat, Bash, is pretty sure I made it for him. 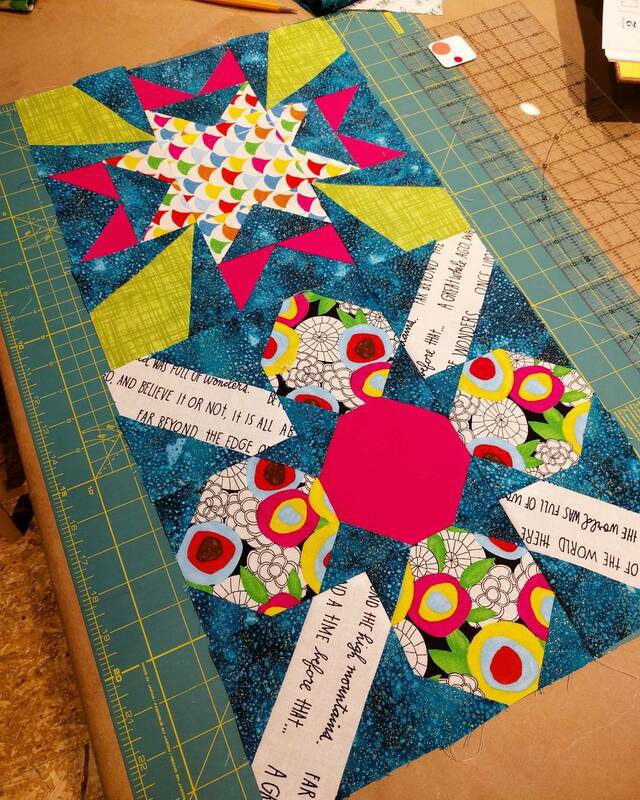 My earliest quilting memory is a "learn to sew" workbook my mom bought me when I was quite little - the projects involved sewing pieces of paper together, and I remember spending many hours patching together little paper quilts. While I've know how to sew forever, I haven't actually done a lot of sewing. 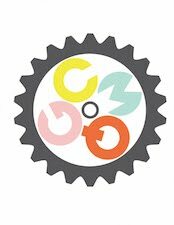 Now that I'm running my own creative business, I've found that sewing and knitting give me a way to be creative that doesn't have the stress/pressure of trying to earn a living, so I've been more intentional the last few years about trying new projects and taking classes. The design and fabric selection part is the most fun for me, I think -- I am terrible at following patterns, and generally will just get out the graph paper and figure out how to make what I'm picturing in my head. I'm enjoying free-motion quilting more the more I try it, though, so that's probably a close second. I tend to take a break and work on something else for a while. I'm an excellent procrastinator! I usually have one or two knitting projects going, and I'm always working on a freelance design project and/or product development for my paper business. I have embroidery aspirations, because one can never have too many crafts. Only one? For actual real food, Area 4 Pizza in Kendall Square. Ice cream is probably Honeycomb Creamery. Coffee is either Forge Baking Co. or Bourbon Coffee. I spend a lot of Internet energy on my day job, so I don't really follow quilting/sewing things online, but you can find me on Instagram @yeiouamp (where you'll find cats, quilts, and food) and @yeioupaperobjects (my business, mostly paper). Thanks Abigail, and if you're as intrigued as I am by the paper projects, you can find Abigail's shop here!